A "fresh from the garden look" is sure to brighten anyone's day. 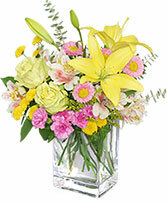 Call The Orchid to send this spring flower bouquet or order online 24 hours a day. 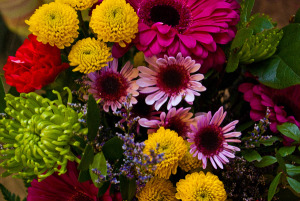 Does your love already have a vase? 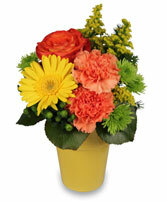 Send her this lovely one of a kind, gift-wrapped bouquet. It's sure to brighten her day.